The Waseca Police Department is excited to announce that this year’s annual community Night to Unite celebration will be returning to the Waseca Water Park on Tuesday, August 7th from 5-7 P.M. The event will include free admission to the Water Park and a food drive for the Waseca Area Neighborhood Service Center. Food will be provided for attendees. Various Waseca organizations will be present to provide information about services they provide to the Waseca community. Squad cars and fire trucks will be on display. We encourage the community to bring a non-perishable food item or monetary donation to benefit the Waseca Area Neighborhood Service Center food shelf. Money donated can be used to make bulk purchases of needed items! The Waseca Public Library will be at the event with free books, and the Roundbank Junior Board & TEAM Academy will be present with games and activities for the kids. The purpose of Night to Unite is to heighten crime and drug prevention awareness; strengthen neighborhood spirit and police-community partnerships; and send a message to criminals letting them know that neighborhoods are organized and fighting back. Night to Unite is sponsored by the City of Waseca, Waseca Police Department and Minnesota Crime Prevention Association. 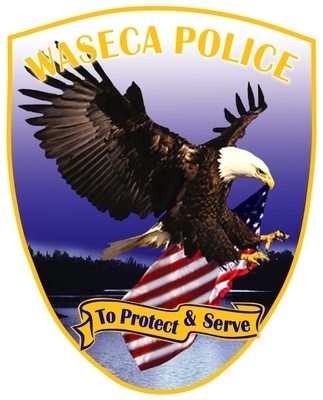 As August 7th nears, keep an eye on the Waseca Police Department Facebook page for more information and updates. We’re working on a lot more activities for you to enjoy!